Homepage > Gift Guides . You probably know at least one golfer in your life. Golfers are a picky bunch to buy gifts for, as you may know. And most of the golf products out there simply are not very great. In this article, we’ll try to ease your difficulty by showing you ten outstanding gifts for golfers that are on the market right now. By the time you’re done reading, you’ll know which gifts are a hole-in-one and which gifts are going to require a walk through the reeds. Read on for your picks for the top 10 gifts that golfers will love. 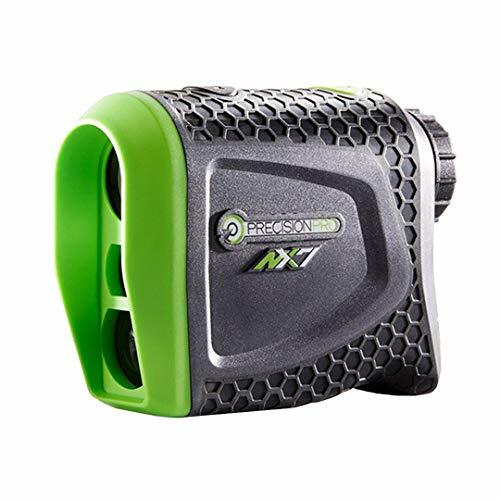 The Precision Pro Golf NX7 Golf Range Finder- Laser Golf Range Finder is a high-tech tool that your golfer will love because it allows them to improve their game quantitatively. Golf rangefinders like this one are essential for helping your golfer to refine their drive. This rangefinder is especially great because it has a two-year warranty, great magnification, high accuracy, and fair range. Your golfer will be less frustrated when they have this rangefinder as their aid on the green. 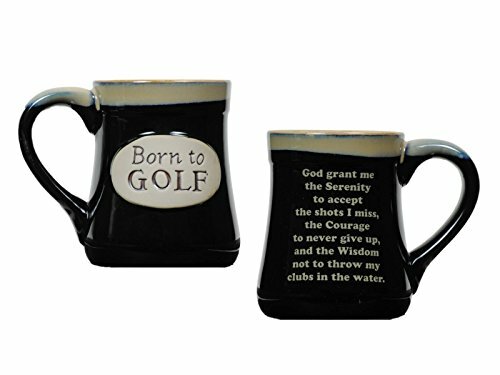 This Golfer’s Prayer Golf Coffee Mug for Golf Fans contains the creed of all golfers. The cup implores golfers to keep serenity when they miss their shots and gives them the wisdom to avoid throwing their club into the water when they dog a shot. Your golfer will probably not use this mug when they go golfing, but that is fine. When your golfer is at home, they can use this cup for a laugh. It may also help them to reduce their level of irritation at golfing, but we can’t say that for sure. The Golf Father Golfers Fathers Day Gift Humor Novelty Sarcastic Funny T-shirt is a great gift for your golfer who is also a father, a demographic which may encompass the majority of golfers. 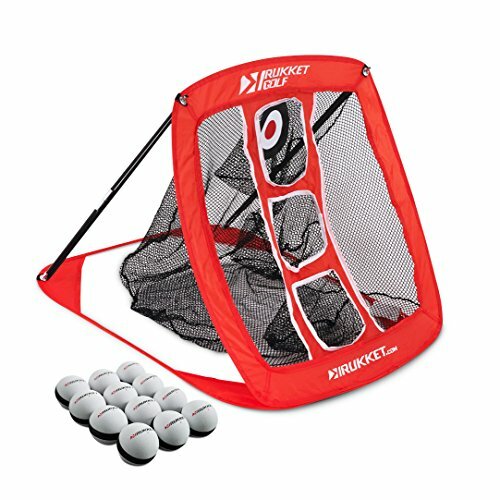 This Rukket Skee Pop Up Golf Chipping Net is a gift for aspiring or young golfers because it will help them to practice their swings in a less expensive environment than the driving range. Working on your chipping shot is difficult to do because of the range involved. Chips are typically far enough that walking to get them after every few shots is extremely inconvenient, yet they also require a precision which makes practicing them at a range irrelevant because of the flat terrain. This game set probably won’t make your golfer’s chipping game perfect, but it will be a nice gesture to a golfer who you know is struggling with mid range swings. 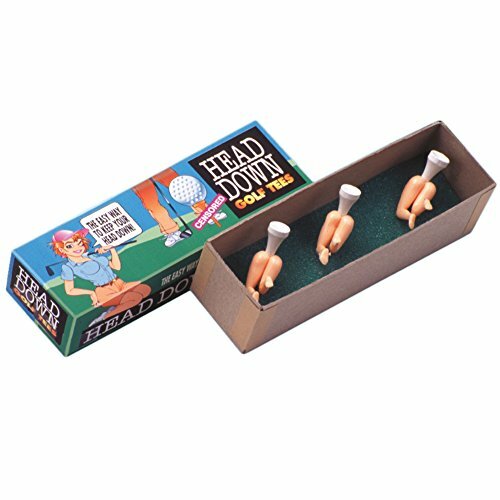 These Loftus Heads Down Golf Tees are a great gag gift for your favorite golfer. When your golfer uses these tees, they’ll be gently reminded that golfing is a gentleman’s game. You probably shouldn’t get these tees for underaged golfers, but your teenagers may find them entertaining. Golfers may or may not appreciate gag gifts, but at least with these tees they’ll be getting a gift they can genuinely use. The only question is whether their sense of shame will prevent them from using these tees with their friends on the green or not. 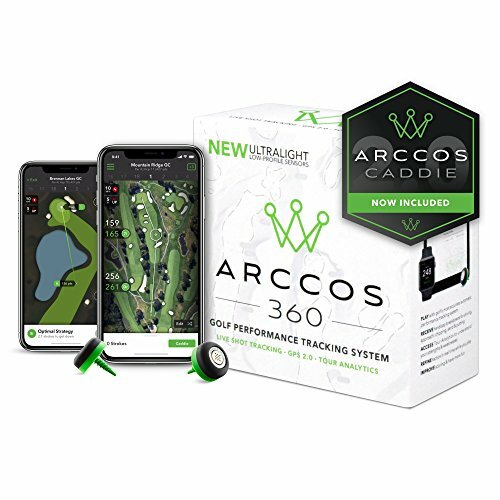 The Arccos Golf 360 Golf Performance Tracking System is a smartphone-integrated golf software and hardware system which your serious golfer can use to refine the subtleties in their swings, regardless of the course. This isn’t a gift for a casual golfer, as is evident by its price tag. This system integrates with your golfer’s smartphone to provide real-time images of the course which is then mapped according to your golfer’s swing. Ball trajectories are modeled, and speeds are estimated. Results are given, and strokes can be criticized down to the micro-movements of your golfer’s muscles. Make sure that your golfer is ready for some serious improvement if you purchase this gift for them. 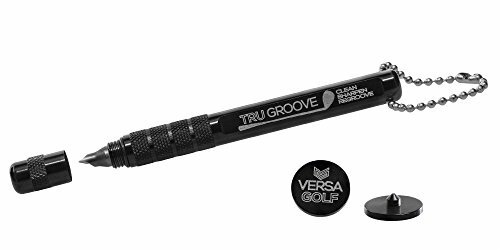 The TruGroove Golf Club Groove Sharpener – with 2 Free Color Matched Ball Markers is a great tool that your golfer will appreciate if they like using their old clubs. With this sharpener, your golfer can service their older clubs to maintain their swinging power. Likewise, if they have a new set of clubs that they want to modify to fit their fancy, this sharpener is the right tool. The sharpener is easy to use, provided that your golfer knows that they are doing. You may find that intermediate level golfers find this to be more useful than people who only golf casually once in a while. 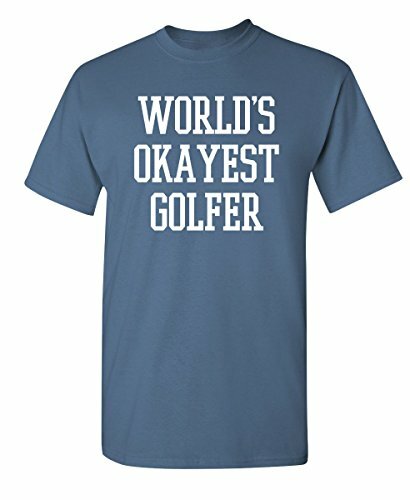 The Feelin Good Tees World’s Okayest Golfer Sports Golfing Golf Funny T-shirt is a funny gag gift for golfers who know that golfers love self-deprecation. Most golfers are not very confident in their hitting skills. They’ve seen the professionals, and they know that they aren’t one. 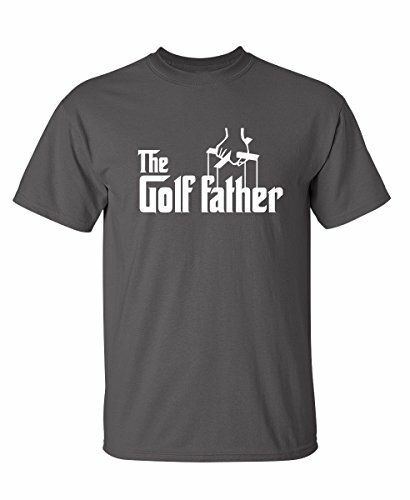 This t-shirt brings this message home in a funny way which your casual golfer will appreciate. Your golfer will especially enjoy this shirt if they’ve made a lot of progress on their swing recently. It’s tough to get better at golfing, so any progress deserves a reward. The Golf Pens with Golf Bag Holder, 4-Piece Set proves that good golf bags don’t need to be exorbitantly expensive. Your golfer most likely already has a golf bag. That bag is almost certainly old and worn. Getting them a new bag will give them a fresh place to keep their clubs, which will help them to stay new and intact. 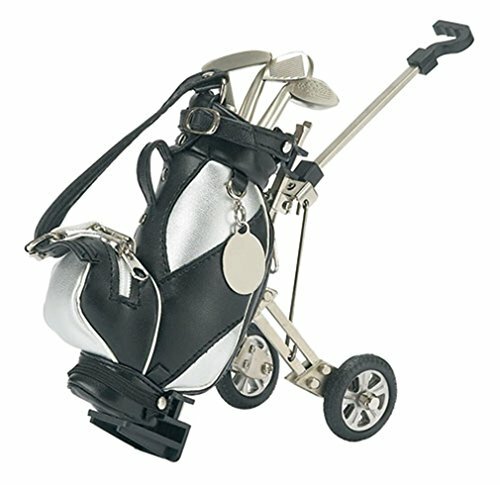 This golf bag has wheels and an easy-carry handle. It organizes the clubs by purpose, which is a nice touch. Your golfer will appreciate the space-age feel of the bag, and find that it makes their entire experience more enjoyable. The Whetstone 75-4732 All-in-One Stainless Steel Golfer’s Tool is a great pick up for your golfer who needs something that does everything. Your golfer might have a set of golf tools. These tools are probably disorganized and floating around at the bottom of their golf bag. With this tool, they can keep everything they need to make repairs on the fly. Most golfers will know how to use a few of the tools contained on this unit. While the individual tools are not of the highest quality, the range of tools more than makes up for this shortcoming. Your golfer won’t be in need of a certain specialist whetting tool when they need it most on the green. 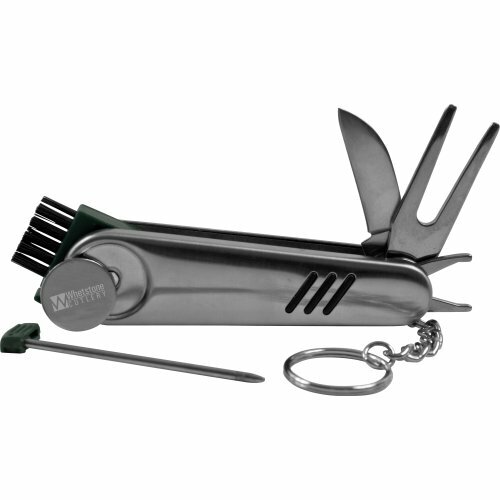 They’ll pop out this multitool and be back on their way to the next hole in no time. Your golfer is going to love any gift that you get them because they will know how much time and attention you put into thinking about them. When they get their gift, they will think of you every time that they use it on the green. You should consider a few things when picking a gift for your golfer, however. First of all, you will need to get a gift for your golfer that they will appreciate. If your golfer does not enjoy good-natured ribbing regarding their golfing skills, do not get them a golfing gift which makes references to the subpar nature of their golf play. A more serious gift like a tool to improve their golfing skill or do maintenance on their clubs would be more appropriate. You will also need to get a golf gift that is the right complexity for your golfer. Not all golfers need to have a super-powerful computer which helps them refine every micro-movement of their swing. Nor does every golfer need a rangefinder that helps them exactly dial in the strength of their swing. Often simpler gifts are better for less serious golfers. If all else fails, you can ask your golfer what they need the most. Many golfers have planned out their next purchase for their golfing needs, so if you can get them to tell you what is already on their list, you have a dead ringer for a great gift. It’s important to remember that golfers are an easygoing bunch for everything except their golf swings. Golfing is a sport about individual performance, and so golfers will always appreciate people who attend to their collection of golfing tools. Remember that your golfer will be golfing in more than one context, too. Golfing at the range is an entirely different experience than golfing on an 18-hole green, so be sure to cater your gift to the place where your golfer needs the most help or where they will be playing the most frequently.